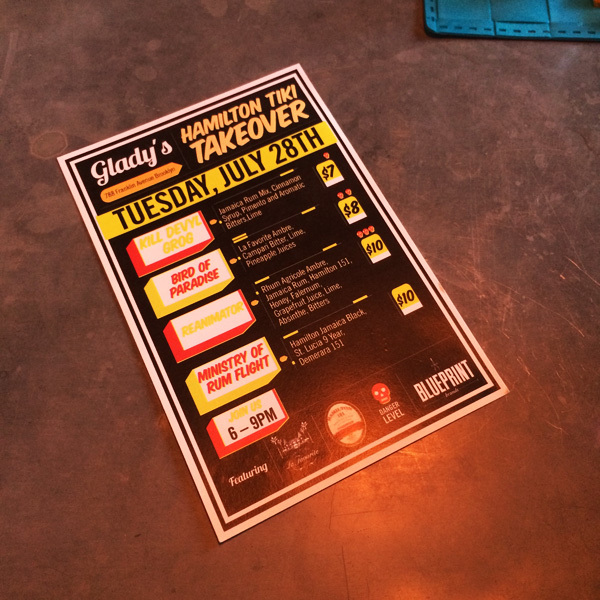 On July 28th, my girlfriend, some friends and I went to the best event ever: Hamilton Tiki Takeover at Glady’s Caribbean restaurant in Crown Heights, Brooklyn. 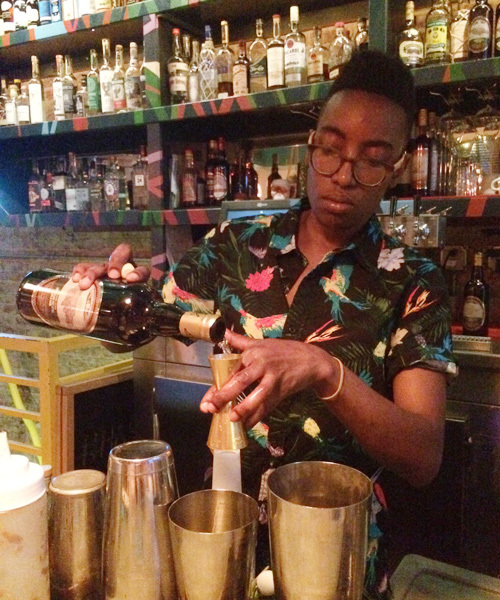 Shannon, the beverage director and Rum Kween, invited me a few days before and I was beyond excited. 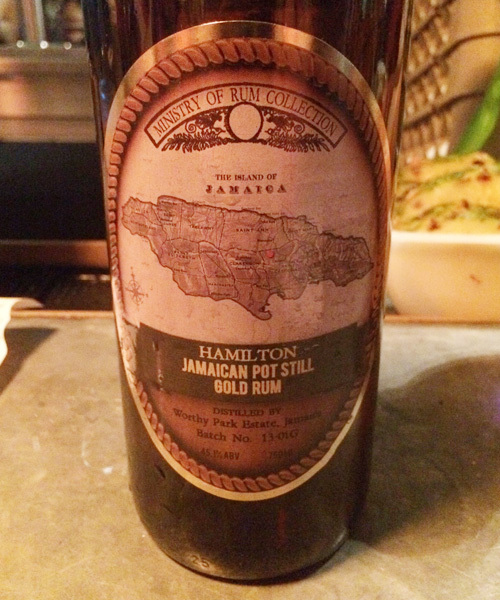 Ministry of Rum tasting! Ed Hamilton in Brooklyn! 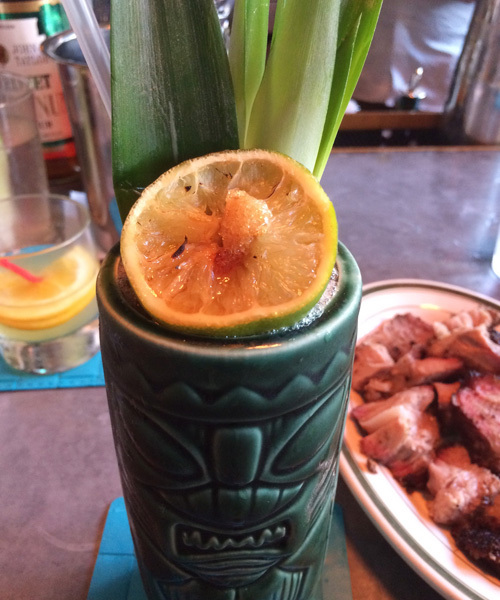 Tiki drinks with some of the best Rums ever! WOOOO! Instead of saying millions of words about how marvelous this event was, I’m gonna do this Photo Essay style. 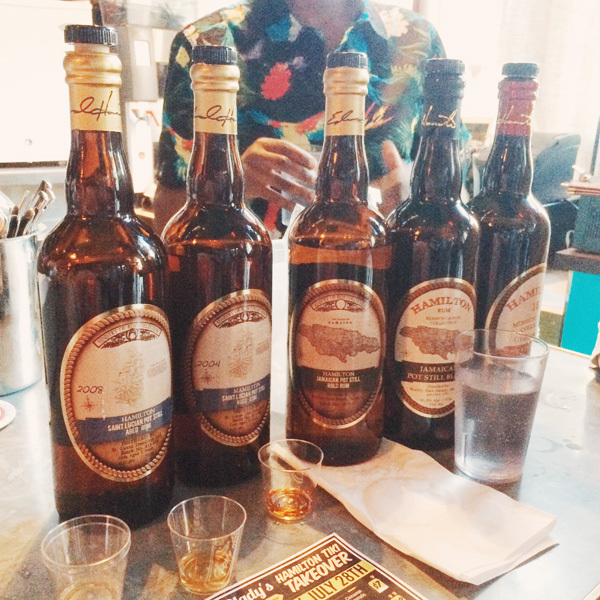 Thanks to Blueprint Spirits for hosting the tastiest Rum event ever. 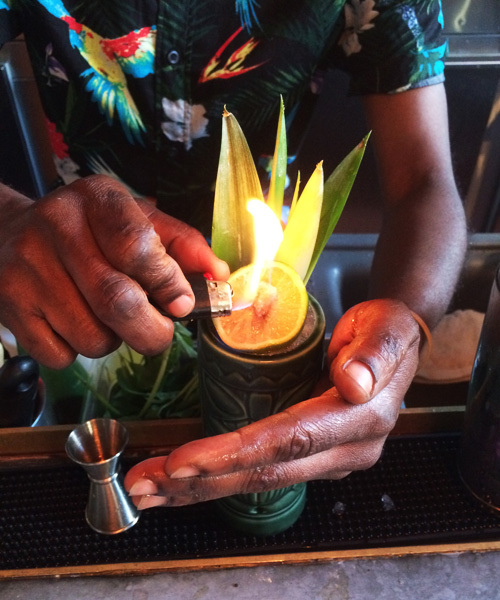 The supreme menu for the evening: Kill Devil Grog, Bird of Paradise, Reanimator, Ministry of Rum Flight. Lil birdies waiting to contain the fabulous Bird of Paradise cocktail. Reanimators waiting for Tiki flames! Note the Jerk Pork next to this Reanimator. Yummmm. The Carmelized sugar and charred lime smell on the Reanimator was legit out of sight! So was the drink itself. 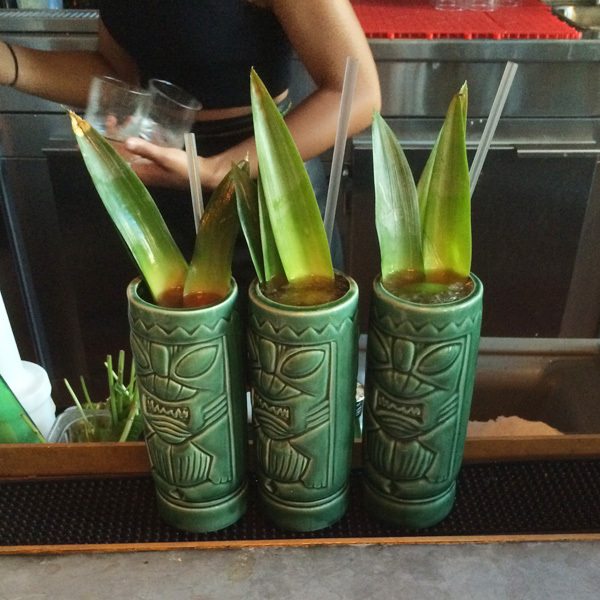 Definitely one of the most smooth, yet complex, yet refreshing, yet mind-blowing Tiki drinks I’ve ever had. 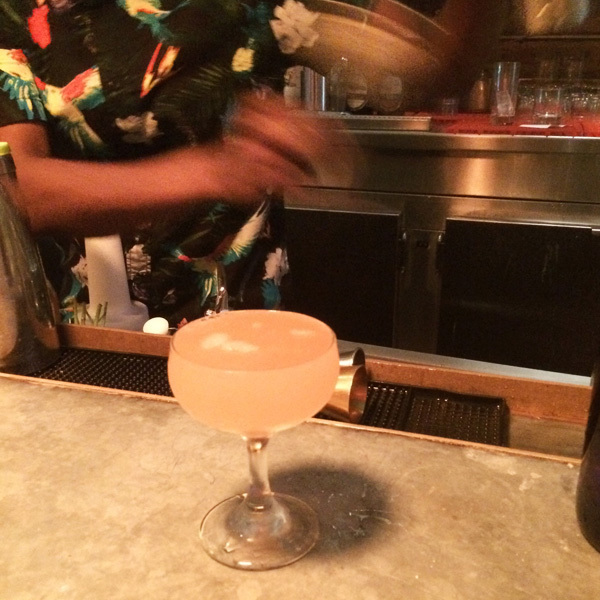 Next, I asked Shannon if we could go off menu and make a Daiquiri with Hamilton Jamaican Pot Still Gold Rum, Lime and Giffard Banane du Bresil Liqueur. It was so much tastier than I could have hoped! Shake it like a rocket, double strain. Slurp. 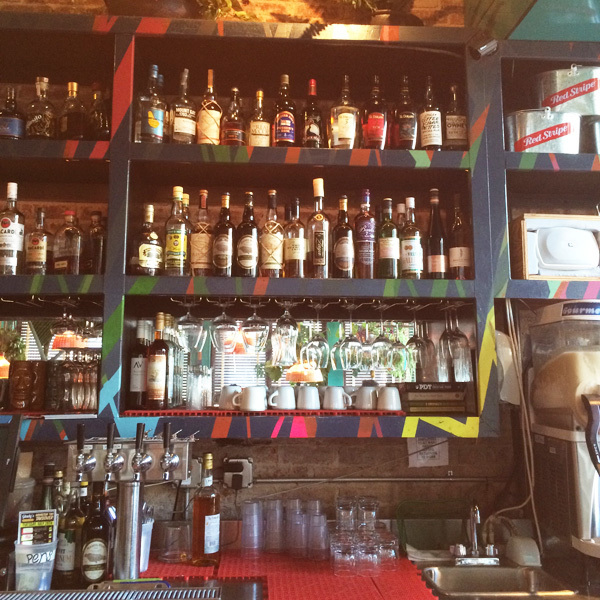 Now, Glady’s already has a killer selection of Rum. This was probably 1/4 of their total collection. Needless to say, I wanted to check out their regular menu. 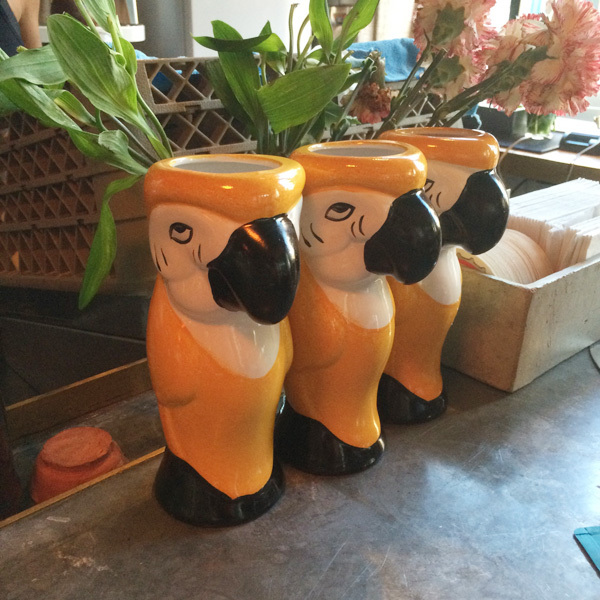 But instead of checking out the whole of their menu, we just ordered as many Painkillers as we could handle! Best coconut drink ever and Pusser’s Rum really makes this drink. 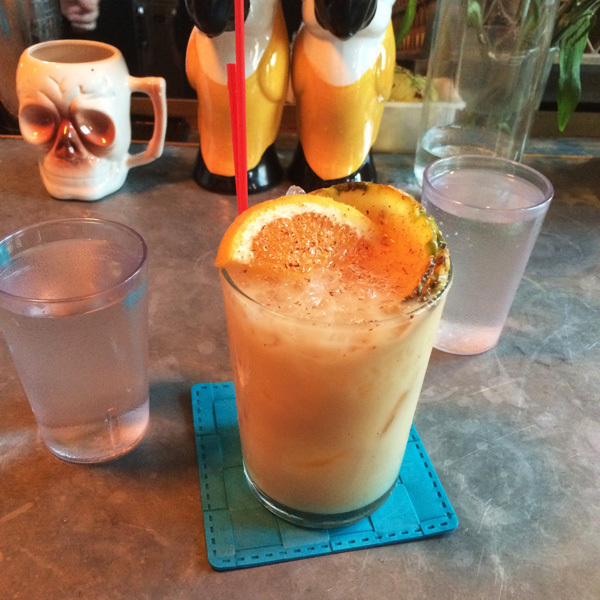 Piña Coladas ain’t got nothing on the Painkiller! I wasn’t able to photograph Ed Hamilton (he was a busy busy man!) but I did get to chat with him for a minute. 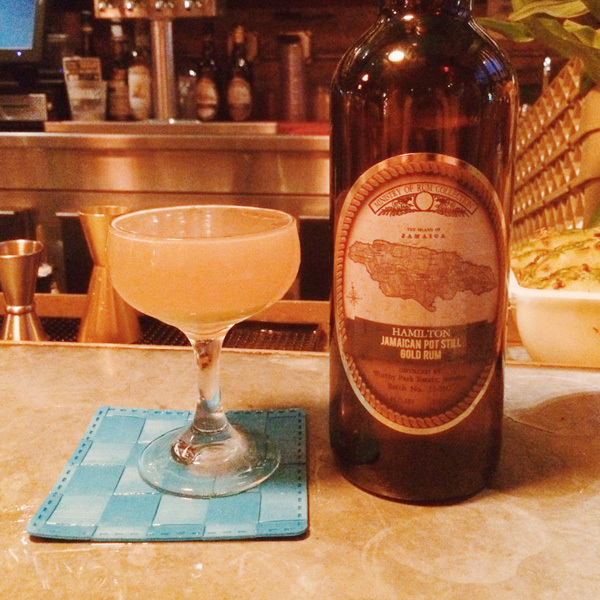 Hope you enjoyed this photo essay and be sure to get some Ministry of Rum in your collection!